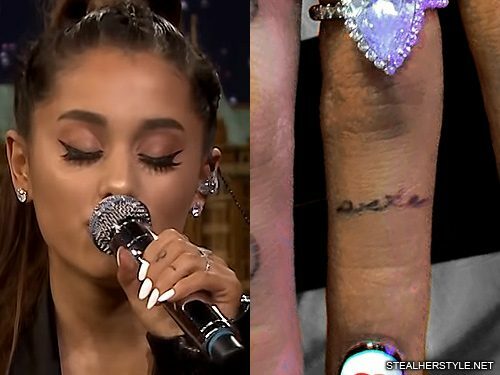 Fans are split over what this tiny writing on Ariana Grande’s ring finger says. 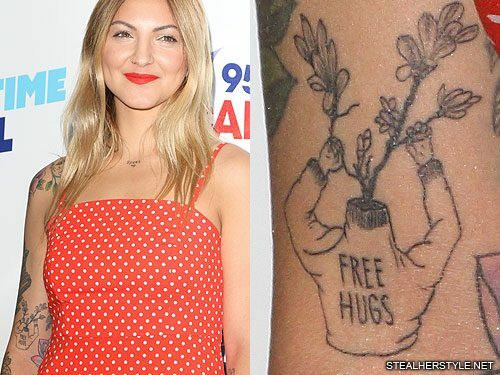 At first glance it looks like “pete,” which would be an obvious choice seeing as she and fiance Pete Davidson have gotten many tattoos dedicated to each other and it’s on the same finger as her engagement ring. 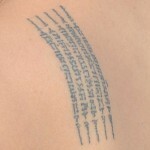 But upon closer inspection, there’s no stem on the letter “p” and an extra up-swipe before the “e.” That’s why others are convinced that it says “arte” which is the Italian word for “art.” Ariana has drawn heavily from classic Italian art for the visual accompaniments to her single “God is a woman.” The music video reinterprets the Capitoline Wolf sculpture as well as Michelangelo’s The Creation of Adam while her VMA performance of the song was based on Leonardo da Vinci’s The Last Supper. 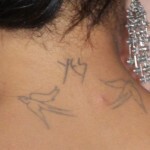 She is ethnically Italian and one of her earliest tattoos was of another Italian word “bellisima” on her side. 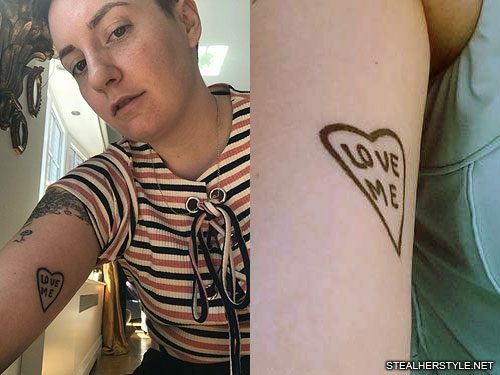 We initially thought the tattoo said “pete” but after staring at it for way too long, we’re team “arte.” Unless perhaps it’s an ambigram meant to show both words at once, implying that Pete is art? 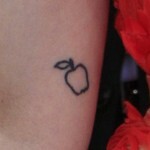 Either way it matches the location of one of Pete’s finger tattoos — and we have no idea what his says. 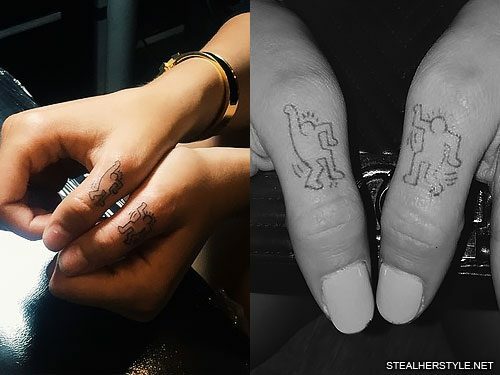 His ring finger ink pre-dates hers, which she got in July 2018. 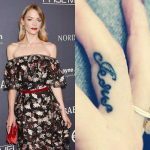 Chiara Ferragni has a tattoo on the back of her upper right arm with a heart and the passionate message “You Are Hotter Than The Flames In Hell.” The design was created by typographic artist Pieter Ceizer. 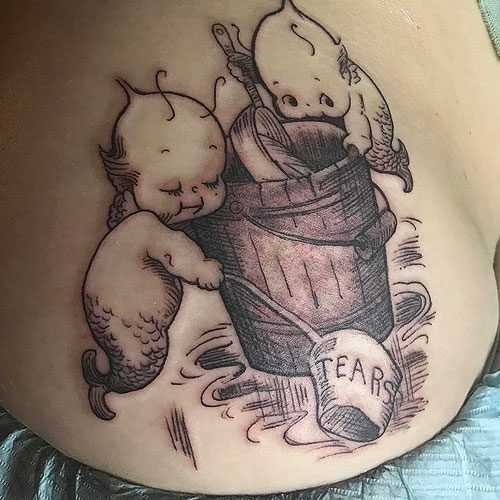 Lynn Gunn got this tattoo on the inside of her right arm following PVRIS’ concert in Houston, TX on October 1, 2017. 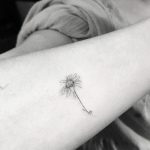 The design that she had inked is one of over 200 chapter headings that illustrator Aubrey Beardsley created for the 1893 book Le Morte d’Arthur which tells the tales of King Arthur and the Knights of the Round Table. This book was the first commissioned work in Beardsley’s short career. 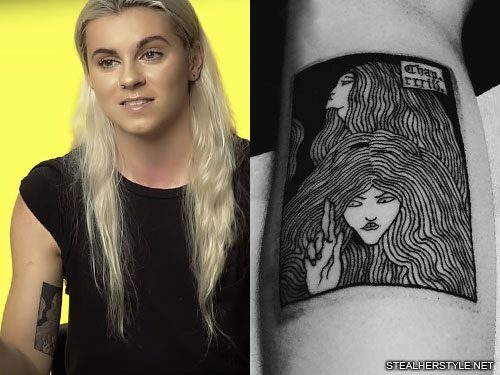 Although he died at only 25 years old, Beardsley’s art lives on an iconic example of the Art Nouveau style. 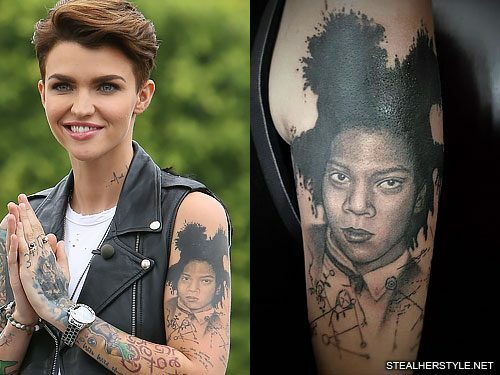 Lynn’s tattoo is true to Beardsley’s style of using only black and white without any gray for a very graphic look. 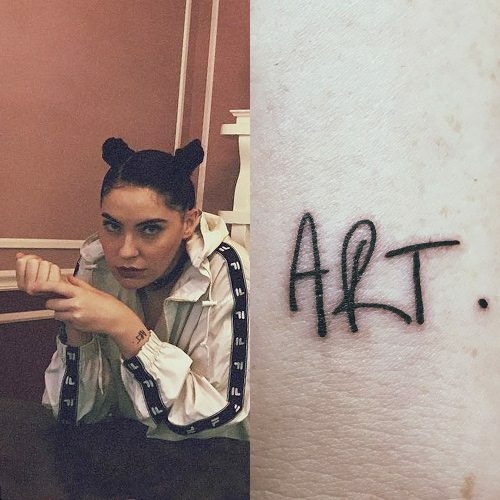 Bishop Briggs gets the word “ART” tattooed on her left wrist.